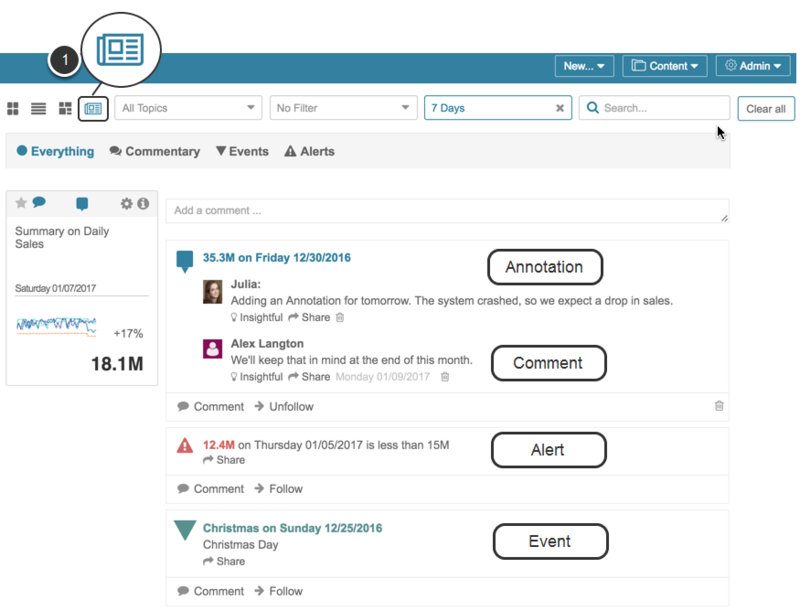 The Following feature allows you to receive email notifications when other users add context to elements or comment on discussions you are interested in. You also have the option to follow another User to see all their collaborative input into the system. 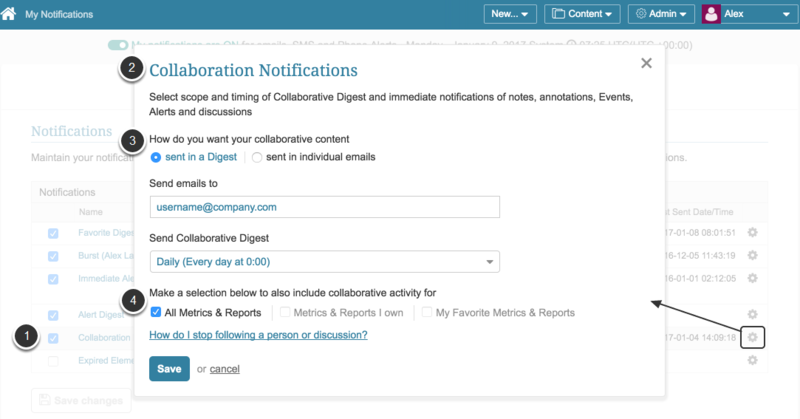 In the Notifications section find the Collaboration Notifications item and click the Gear icon in the respective row. In the opened pop-up define how you would like to be notified about new notification items, their scope and timing. 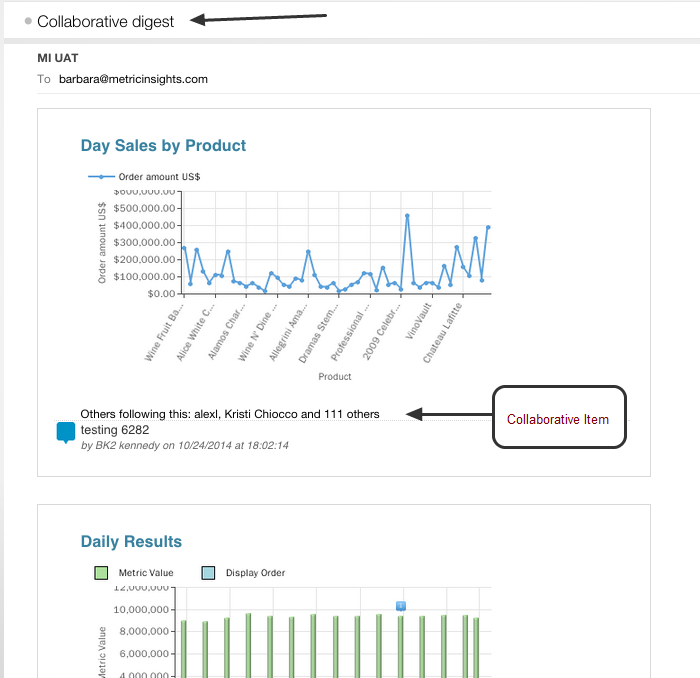 sent in Digest: you may choose to receive a single email with all new collaborative items on a regular basis. In this case, specify the schedule at the Send Collaborative Digest field. sent in individual emails: alternatively, you can receive notifications immediately either to the specified email address or as a Push Notification if your phone is paired with the desktop version of the application. To receive push notifications, download our app for iOS or Android. Define the scope of notifications you would like to receive. Save your selection to confirm the changes. NOTE: If you do not have access to your Email Notifications Editor, contact your Metric Insights Administrator to request the ability to Modify Personal Preferences. 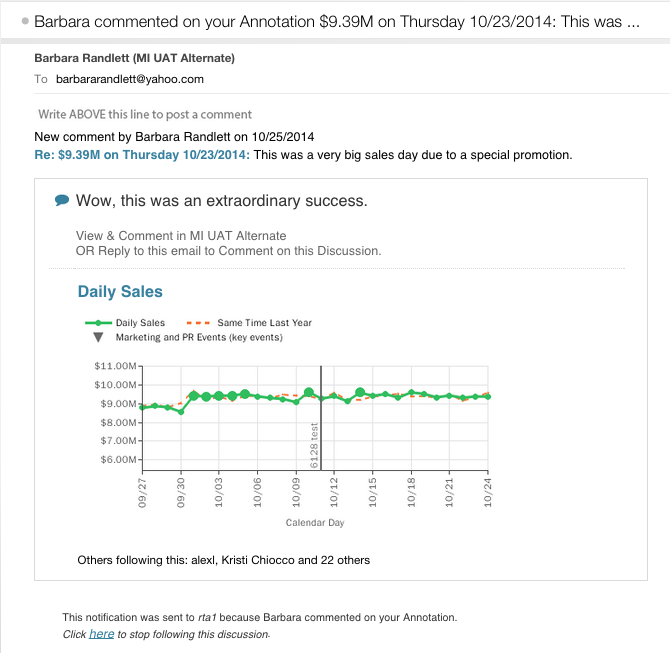 In the example above, the 'Summary on Daily Sales' element has an Annotation with Comments, Alert and Event. After identifying a Collaborative Item (example above: Annotation) that interests you, click the Follow link. After identifying a User whose comments interest you, hover over user's icon. The Follow option is shown. Click once to follow this user. If you have elected to receive Individual Emails, you will receive a notification immediately after a new Collaborative Item has been entered on a Discussion or by a User that you are following. Next: Who else is watching this tile?